The Origin sliding door is one of the latest products from one of the UK’s best known brands in aluminium home improvement products. The Origin sliding door made its preview at the 2017 FiT Show. Over the last year, Origin has rolled out the product to selected dealers. This new slimline sliding door is now in several showrooms and, of course, customer homes. The door is finally live on the Origin website as well. In this review, we take a look at the product, its features and what you get compared to other similar sliding doors. The Origin Sliding Door joins other slimline brands. There are companies in the UK that the public associate with windows and doors. Everest, Safestyle and Anglian will usually be top of people’s minds. However, when it comes to aluminium bifolding doors and aluminium windows, Origin is one of the best known brands. The Origin Sliding Door is the natural progression for Origin, that started out as a bifolding door company. Their innovative flush casement aluminium window was next, followed by their range of single and double aluminium residential front doors. Origin provides the complete range of home improvement products (apart from lantern roofs and skylights). It is a logical progression, therefore, for Origin to bring out a new sliding door as their next new product. The rise of the sliding door in the last two to three years has been significant. It is worth remembering that not everyone wants a bifold. Some properties lend themselves better to sliding doors. All of the major systems companies offer one or more sliding door products. Many now provide slimline, panoramic or minimal sliding doors. Origin has not followed the mainstream systems with their new Inline Sliding door. Instead of adopting the traditional aluminium patio door approach with an inline or a lift a slide system, Origin has gone for slimline. Slimline also extends to the impressively thin interlock, again responding to the growing range of aluminium sliding patio doors that are getting thinner. What is the Origin Sliding Door? Origin’s new slimline sliding door follows the trend of other similar doors as a structurally bonded system. A structurally bonded sliding door has advantages and disadvantages for both the installer and the homeowner. These doors are unlike conventional patio sliding doors. If you are thinking about a new patio sliding door, there is a big choice of quality sliding door types to choose from. Examples include the Smarts Visoglide and Visoglide Plus, Reynaers CP130 and CP155, AluK sliding doors, Schuco ASS70 Sliding Doors and SAPA Crown. Then there is the option of the more expensive structurally bonded sliding door products. It is important to mention that Origin’s current door range bases itself on the aesthetic of their bifolding door. If anyone was expecting to find a similar aesthetic on this particular door, then they have to understand the different nature of a sliding door versus a folding door. Tracks are more visible when the doors are closed. There are many more inside faces of the frame and track seen as well. Features of the new Origin Sliding Door. 20-year guarantee including gaskets and seals 10-year guarantee on the glass. Available in any RAL colour grey and black as standard. Concealed running gear and track. Weather tested and to BS6375 Part 1. Specifications of Origin’s Inline Sliding Door. Double (116mm) track or triple (182mm) track to suit the number of panels. 159mm central meeting stiles on four panel bi-parting doors. Comparing the Origin sliding door with other brands. 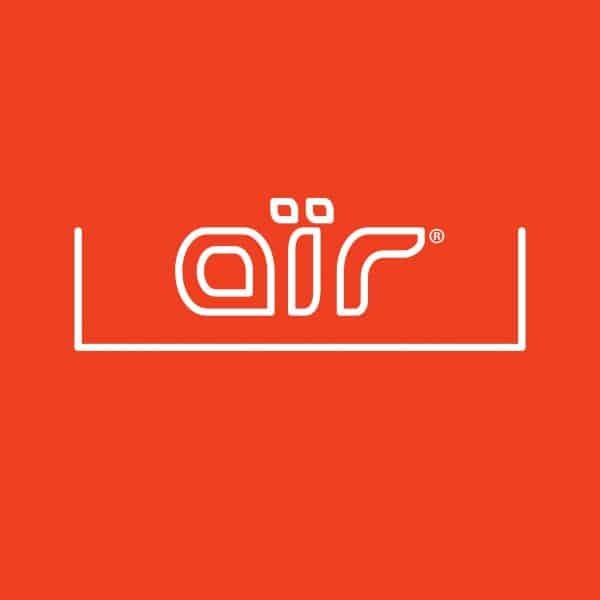 The aïr 20SL and the Infiniglide 3, based on the same system you can compare to the Origin Sliding Door. Origin, Everglade making Air and Arkay Windows making Infiniglide 3 all offer a slightly different version. How Origin Compares with similar sliding doors. 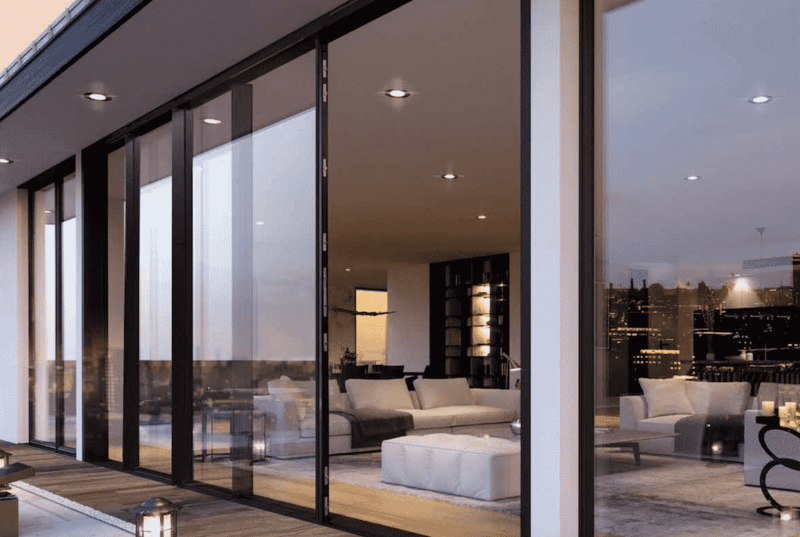 Understanding slim-interlock sliding doors like Origin. The Origin sliding door, while having a very slim interlock also extends this profile backwards to create a section with quite a bit of depth. We spoke to some people about the door with some commenting they did not like this particular detail. We would argue that critics of this characteristic of the Origin sliding door are missing the point. Many other slimline sliding doors also offer a similarly designed interlock for some sound and logical reasons. The 20mm interlock has to be deep because it also provides structural integrity and works with the whole product for deflection and wind loadings. The most publicised slimline sliding doors seen on Grand Designs and similar programmes usually have a very similar product that is structural silicone glazed and uses the thin but deep interlock also acting as a door pull. Therefore the Origin sliding door is no different for aesthetic and technical reasons than other similar doors. This product addresses two requirements. First of all, it provides the latest slimline door to those replacing old doors or building a new extension. Secondly, this door provides a near frameless appearance when you conceal the frame in the structure. This frameless appearance is typical of very high end sliding doors from Panoramah!, IQ Glass, Fusion Glazing Systems and others. These are the types of doors that have their outer frames hidden in the structure. Origin is no different to these high-end systems that also possess the thin but deep interlock. If you want a 20mm interlock, it is logical that it will be compensated elsewhere to have strength. How much does the Origin Sliding Door Cost? Origin Dealers tell us a typical two panel sliding door, 2400x2200mm high is £7500 supplied and fitted. A three panel door, 3300×2200 approximately £8900 supplied and fitted. Compare this price to a Smart Systems Visoglide Sliding Door £3800 or a Schuco ASS70, £4500. The complexities of making and fitting a structurally bonded sliding door explain the price difference. Your choice is whether a 35mm or 45mm interlock on a standard sliding door justifies the price hike as well. If you are an Origin dealer, there are good reasons to consider the Origin sliding door if you have yet to see it. You will already buy other sliding doors. This is a new addition to meet a growing market. Origins’ new sliding door and structurally bonded doors do not compete with mainstream sliding doors. It is an entirely different product. The Origin sliding door adds the latest generation product to your range from a supplier you know and trust. Origin’s new door enables their installers to offer a high-tech minimalist sliding door with none of the complexities associated with the product. This is thanks to Origin’s training and assisted fit services. If you are a homeowner, considering these minimalist sliding doors. You have a lot of choice in very similar products, broadly based upon the same European system. There are advantages to going with Origin. A longer guarantee than other similar products. A range of bifolding doors, windows and front doors also under the Origin brand. Your home improvement products made only by Origin. An installation by Origin Approved and Origin-trained installers. Contact us for further information on the Origin sliding door and where to buy. Hi Richard, we work with numerous bifold door installers and not one has mentioned Q-Lon shrinkage. Are you an installer of these doors? I am considering these doors in a 3-panel configuration for my extension project. However I need them to also unlock from the outside which I understand they do not. As a compromise, do you know if it is possible to have the left panel locking only from the inside and the right panel locking only from the outside? Alternatively, what are the slimmest doors available that can be locked both from the inside and the outside? Hi Spiro, I think you are best off speaking to Origin or get in touch with us via the contact form as our understanding (and checking with a London Gold Dealer) the sliders can either be blank, with a handle as well as the option of locking the doors from inside or outside. Just had a 3 panel fitted 6m and they are tight running, moving each of the end doors gets tight and pulls the centre door with it, it has been fitted by origin and I am told it’s the vacuum that keeps it water tight but the product states it should glide open, unsure what to do as I’m not happy with them?? Hi Neil, thanks for your question. How tall are the doors? Obviously, these doors do have a lot of weight behind them and Origin is right there is friction on a new door as the seals and gaskets bed in. Assuming the door is correctly made and fitted (sure it is) then see if the door improves over time as all the components need time to settle and bed in and especially the seals which we know do rub and cause friction on a brand new door. Origin and their dealers do offer a good after-sales service so do engage with the company if you’re not happy and sure they’ll do their best to help.